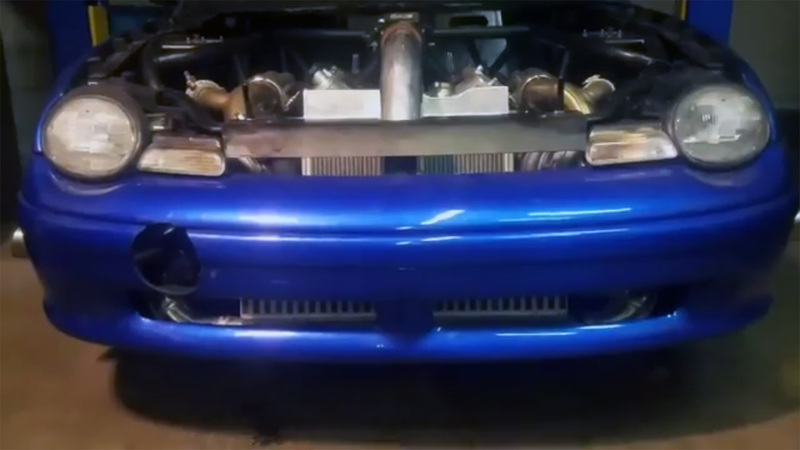 Kevin Chapoton transformed his Dodge Neon into a RWD monster at his company True Welding in Hazel Park, Michigan. 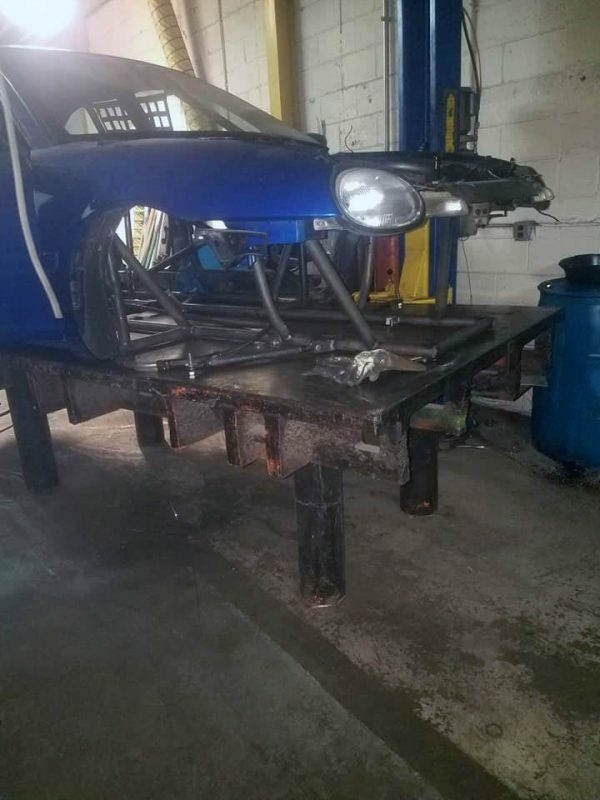 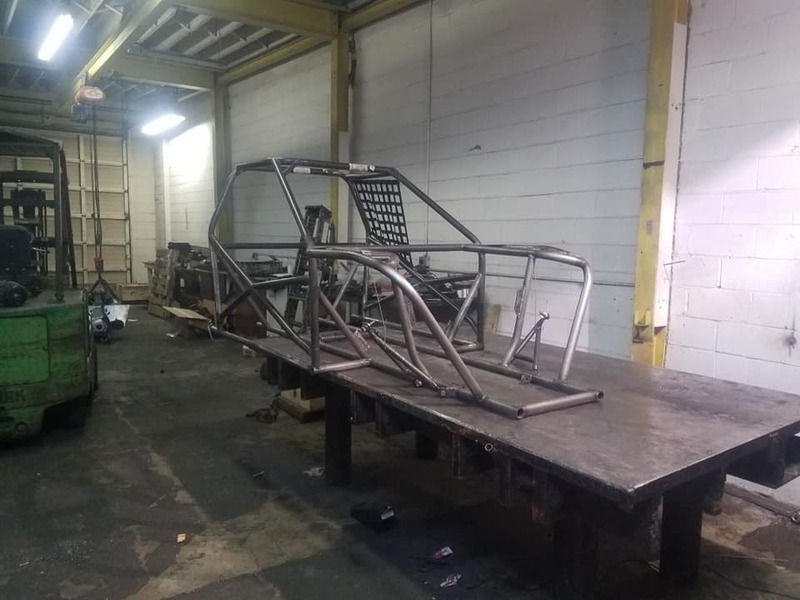 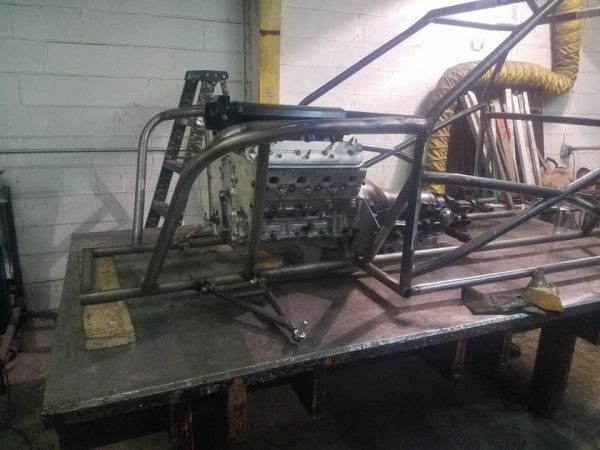 The compact car features a custom tube chassis and suspension thanks to Kevin’s fabrication skills. 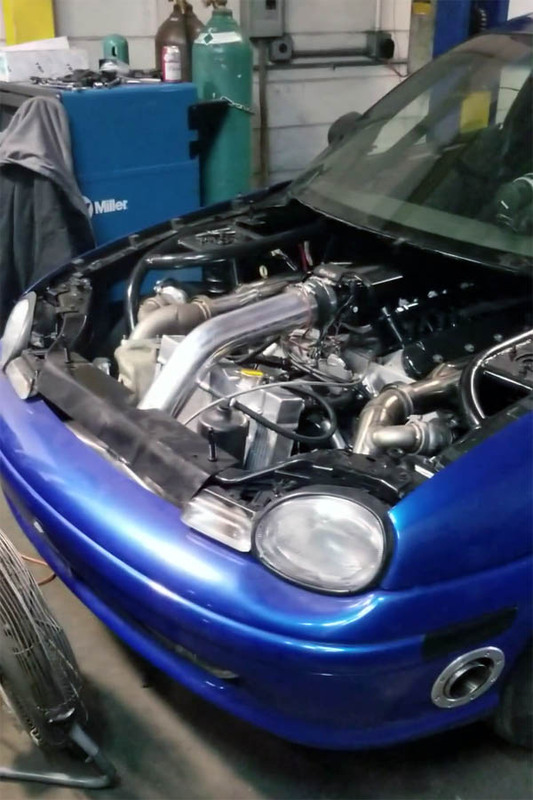 It will be propelled thanks to a twin-turbo 5.3 L LSx V8 featuring ported heads, LS3 camshaft, LS7 lifters and rockers, and two BorgWarner S363 turbochargers. 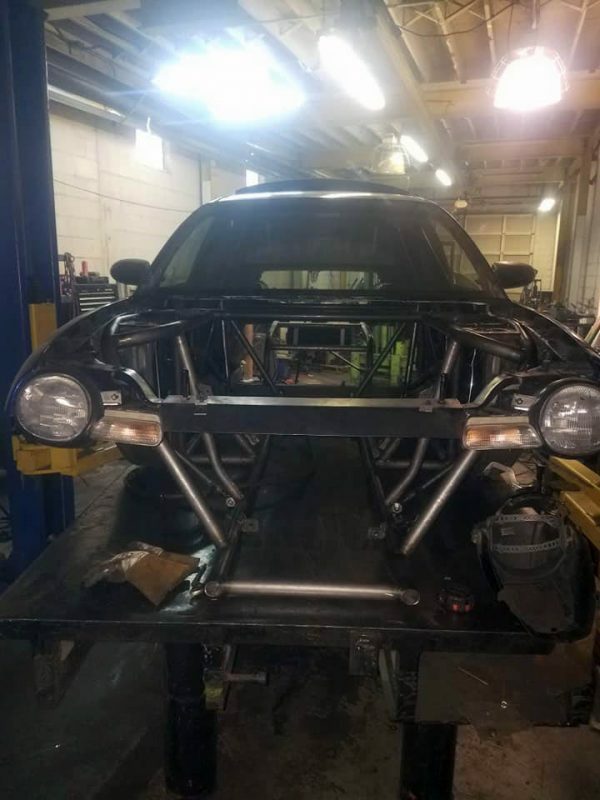 Kevin’s friend Ryan Antonie made a custom harness for the car and will tune the engine. 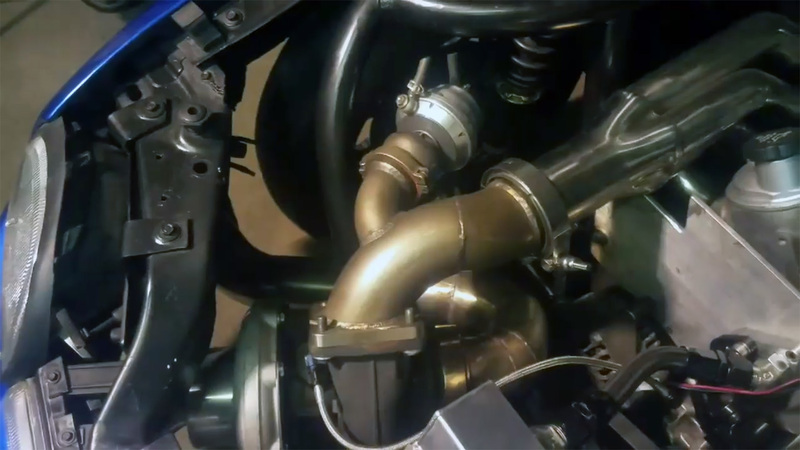 To give a sense of power, the turbos are good for 1,250 horsepower. The drivetrain consists of a 700R4 four-speed automatic transmission and Ford 8.8-inch rear end.